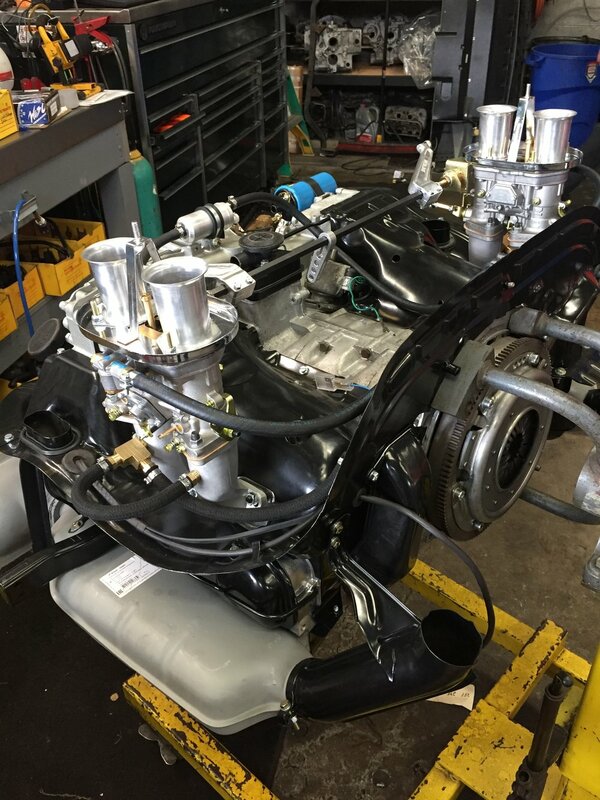 Peace Vans has a tremendous amount of experience with engine replacements and rebuilds. An engine replacement or rebuild is one of the largest and most expensive projects you will undertake on your van. To make your life easier during what can be a difficult decision, we've done the research for you. We specialize in three areas of motors that we believe offer the best spread of performance, reliability, and cost. We really have "no skin in the game" on any of these and just want to help you make the best decision for you. We require an inspection before undertaking a project like this (and we will credit the cost toward the engine work). There is nothing worse than spending $14,000 on a new motor only to learn that your suspension and brakes (for example) are shot. Please note that while we don't install them, we do service all other engine conversions, including TDI, ZETEC, Tiico and more. However, we are seeking a few customers to play around with us and the new Boxeer set up (generally for Syncros) - are you intrigued with this? Let's do it together. This is most common solution we offer. 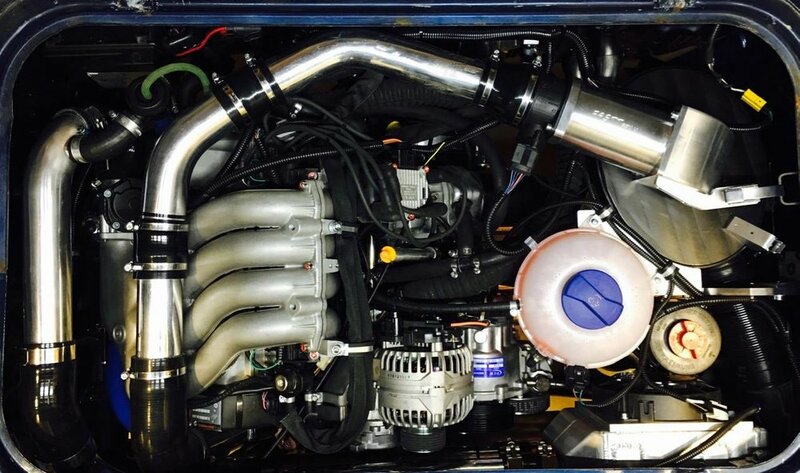 We build these engines in-house as well as source from the best rebuilders. 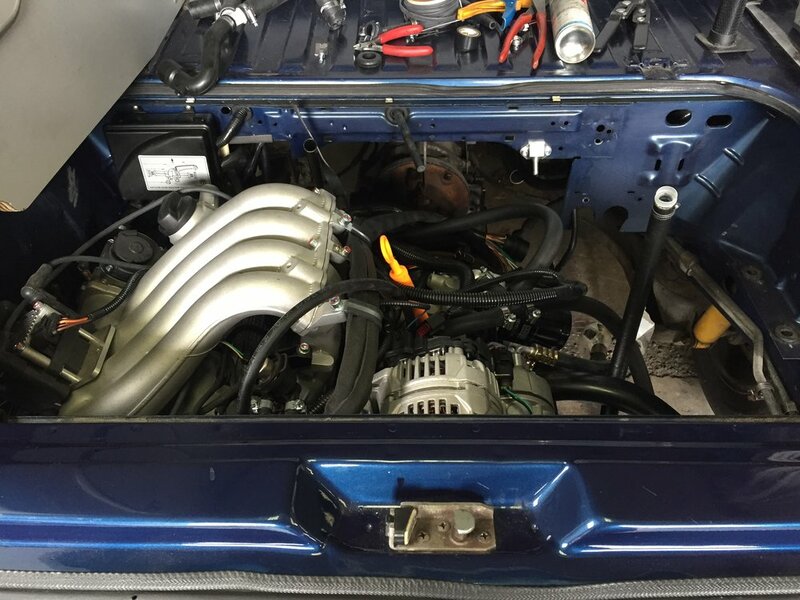 To be transparent, we tend to be a bit more expensive than other shops - our estimates often include what we consider to be critical and necessary additional work to make sure your new motor not only runs right but is surrounded by functional support systems, most notably your coolant system. We communicate these costs up front as opposed to during the process - or worse, telling you owe us an extra 15% when you pick up. We also only buy motors from rebuilders we have a proven track record with, and these motors tend cost about $1,000 more. For us, this is a "no-brainer." Some of the more popular rebuilders have failure rates approaching 50% - and we experienced that before we stopped doing business with many of them. It is simply not worth the cost savings. Keeps it all stock and original. There is something beautiful and romantic about the keeping your 30 year old vehicle stock and true. If you think of your van as a future collectible, this is the most prudent course. It's about the journey, not the speed of getting there. Sure, the stock motor could be considered a bit underpowered, but there is something nice about being in the slow lane and smelling the proverbial flowers. Ease of future work. It will be easier to work on an all stock system. Whether this translates into lower costs or not remains to be seen. Extended Warranties. Most of our rebuilt waterboxers qualify for a 4 year/48,000 mile warranty ($500 charge). Cost. By far, this is most affordable option we offer. See "underpowered" above. Even with the higher compression rebuilds, you'll still be at 50-60 over the passes. 70-75 on the flats, no problem. It is 30 year old technology. Not bad technology, but it is old. These motors are delivered to us brand new, and they fit perfectly into the Vanagon (they are motors typically used in the Passat, Jetta, and Golf). The offer about 40% more horsepower and a similar bump in torque. They also come with an engine management system and modern electronics. We are doing more and more of these conversions and are big fans. One of our rental vans has one and you are welcome to come test drive it. Brand new motor. No rebuild, nothing reconditioned. Brand new, factory crate motor. Everything matched from the factory - wiring, ECU, etc. Modern electronics. ODB2 connectivity for modern engine management and data. Power/Torque. A very nice bump from the stock power. These motors move along at a great clip. Quieter. This conversion runs a bit quieter than the stock motor. Engineering. We partner with Foreign Auto Supply in Maine to deliver a best of breed set of highly engineered conversion parts that run flawlessly. AC, Cruise Control, etc. These features are easy to get working on this conversion. Cost. You are starting to get up there in price. If you need any additional work (e.g. transmission, brakes, coolant system) it's not unusual to end up over $20,000. Possibly one of the most hyped conversions in the Vanagon world, but with good cause. 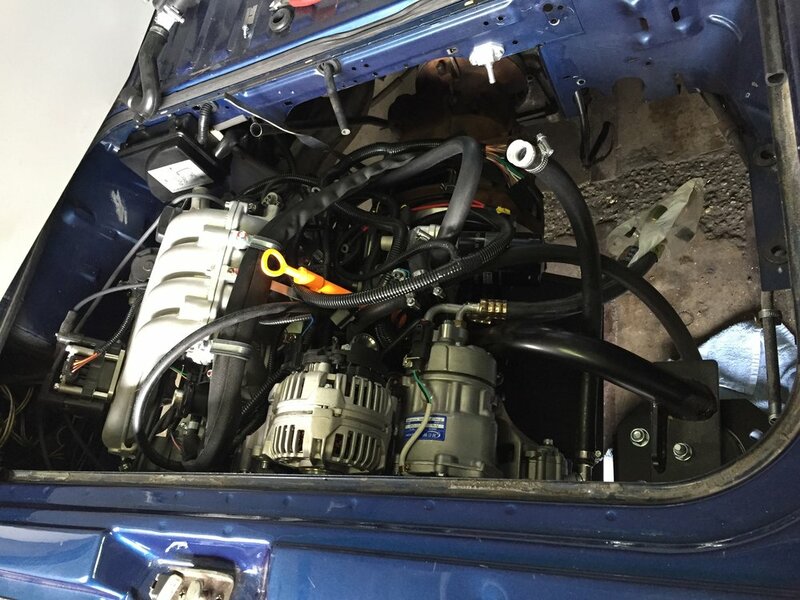 We take great care in doing these conversions - your engine bay will look meticulous, you'll have a perfectly crafted wiring harness, the motor will always be "zero mile" freshly rebuilt. However, because we take no short cuts on this conversion, it's going to be expensive and more expensive then the competition - it's not unusual for these conversions to cost $20K or higher. We know that we lose quite a few jobs on price, but we simply refuse to do this conversion with short cuts or by not replacing everything. At this price point you deserve something perfect and that is what we are interested in delivering. Power. Short of the TDI, this conversion offers the biggest jump in HP and torque. You will cruise over the passes at 60-70 mph. Ecosystem. For a "franken-motor" set up, there is a large ecosystem of support ranging from vendors to Facebook groups. Subaru+VW. For the purists, even though it fits, it doesn't. Our conversions are designed for any tech, anywhere, to be able to see what is happening. But we see a ton of conversions we simply can't work on do to poor workmanship. Longitudinal data. There is very little long term, statistically reliant data on this conversion. We think it's fine, we're not too worried, but there simply aren't a lot of 100K mile Subaru conversions on the road. For air cooled customers, the best route is to have our expert team build your motor in-house. It is becoming increasingly difficult to find quality rebuilds, and the only way we can provide you with an engine we trust (and will warranty!) is to build one for you. This is not the cheapest option on the market, but it's the one we believe in. If your budget is tight, we will still try to find a way to work together. Air cooled rebuilds can run between $7,000 and $11,000 depending on myriad options. Give us a call to discuss or come visit.